I'm not a sentimental girl. I don't get sad about a lot of changes because I always love looking forward to what's next with excitement. I have never been sad about moving to a new house and leaving an old one because I was happy to fill the new home. I wasn't sad when my girls moved out of baby stages because I loved the stage they were moving into. I can only think of two times I have been sad for change in my life. One was the end of my junior year in college. Three of my VERY best friends were all graduating and I was SOOOO sad to face my senior year without them since I spent about 99% of my time with at least one of them. I remember crying non stop the last few weeks of school. I LOVED college but I didn't want to go back my senior year because I knew it would be awful. But guess what? It turned out to be one of my most fun years. I hung out with different friends and made new ones and had a blast. And the second time I've ever been sad is now. I keep finding myself crying over Harper going to kindergarten. I took papers to her new school last week and was talking to the office ladies and had to leave because I was on the verge of losing it. And then this is posted outside her preschool door today. She is about to have preschool graduation in a few weeks and I started crying the minute I saw this. I know Harper will LOVE kindergarten. I don't want to keep her at home. I even asked her if she wanted to just stay home and be homeschooled and she said "NO WAY". ha! She will soar at school. I think I'm just sad because I know this is the beginning of the end. She will don those little preschool graduation caps and I will blink and she will be a senior in high school. I have loved these years at home with her and Hollis. I loved pushing them around in strollers at the park or Target or just having pajama day at home. I just hope I've done enough. I hope I'm doing enough. 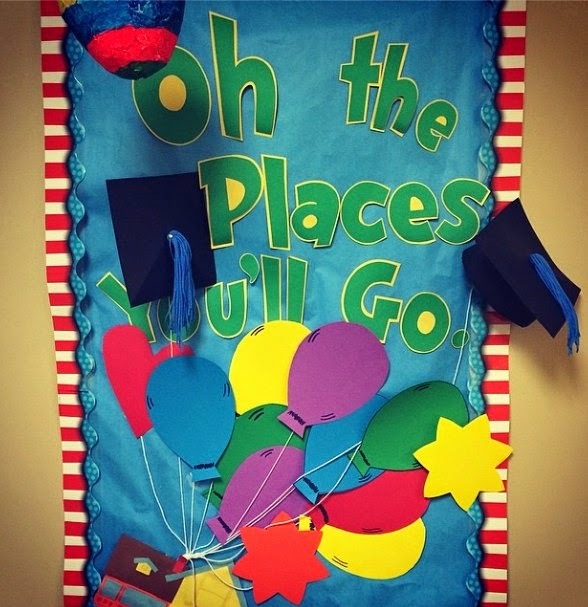 I plan to get the hardback cover of "Oh the Places you'll go" and have her preschool teachers sign and then each year have her teachers sign and give as a graduation gift to her. Someone on my instagram suggested also getting a Bible and letting all of her Sunday School teachers/choir teachers/AWANA, etc at church sign each year and also give her when she graduates. I LOVE that. I'm going to do that and also maybe underline verses each year that have special meaning for that year for her (and Hollis) and write a little note in the side. I want her to know I was praying for her all of these years specifically. Praying for friends for her and for her future. Someone else on IG suggested getting an adult XL t-shirt with "Class of ......." on it and each year on the first day of school taking their picture in it and watching them grow through pictures. I thought that was so cute and creative. What are other things you have done or ideas you have seen to benchmark the years or create a memory that you can treasure when they DO graduate? I'd love to hear your ideas. I'm at a good place to start!